‘LIKE’ The Turtle on Facebook! A Holocaust Reading List For Our Confusing Times. 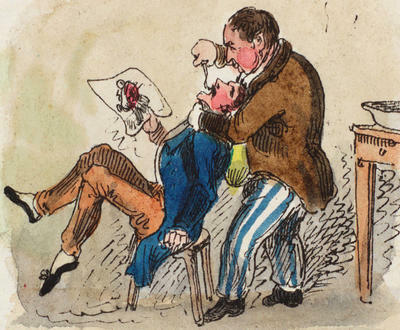 The Love of History and Bad Teeth in the 18th Century. By Michael Stelzer Jocks, History Faculty. As we start another quarter at RMU, I as a history teacher try once again to inculcate students to the importance of historical understanding. In each of my courses I usually provide the students on the first day of class with a description of what history is, and why it matters. Simply put, I try to justify taking history courses to non-history majors. This is old-hat for me. I have been justifying studying history long before teaching at RMU. Ever since my days as an undergrad I have been hounded by friends, peers and random acquaintances’ parents regarding the ‘value’ of a history degree. With a smirk on their collective faces, I would hear the banal, unthinking question, ‘what are you gonna do with a BA in history?’ It was obvious to me long before entering the working world that in American society, the utility of a degree, meaning the amount of money to be made from having it, is the most important thing for a lot of people. This is a much more difficult challenge to face. For paycheck-concerned-parents, I can always point to all sorts of studies that show that employers are looking for the skills taught by the liberal arts. But, how do you answer those people who think your subject is a snoozefest? How do you change their minds? You do the only thing you can do: Prove to those naysayers, whether they be friends, students, or whoever, that history is amazingly interesting and human. You point to Arlette Farge, the great historian of 18th century French, who beautifully stated that ‘It is a rare and precious feeling to suddenly come upon so many forgotten lives, haphazard and full, juxtaposing and entangling the close with the distant, the departed.’ For me, this statement encapsulates the study of history. But, there is more. Those lives Farge ‘comes upon’ are often weird. They are often funny. Their lifestyles are often salacious. Their worlds are often disgusting. In other words, Farge’s lives illustrate that the past is achingly, tragically, amazingly human. You can discover all sorts of strange surprises in these lives. Can you imagine this? I can. 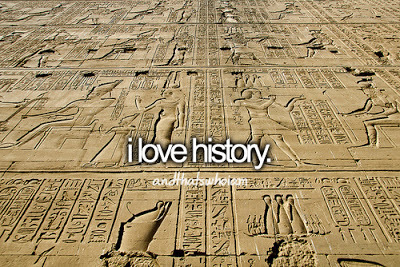 History makes me imagine. The history of food, art, culture and everyday living is a window to who we are today. Dates of battles? Meh… good for Jeopardy. “open mouth smiling was frowned upon” I enjoyed this part very much, well played. Have a great quarter!